"Family Memories & Histories, Let’s Not Forget Them!" March 1st would have been my dad Steve Xanttopoulos’ 93rd birthday and on March 25th we celebrate Greek Independence Day. In that spirit, here is a photo of my father (about 6 years-old?) 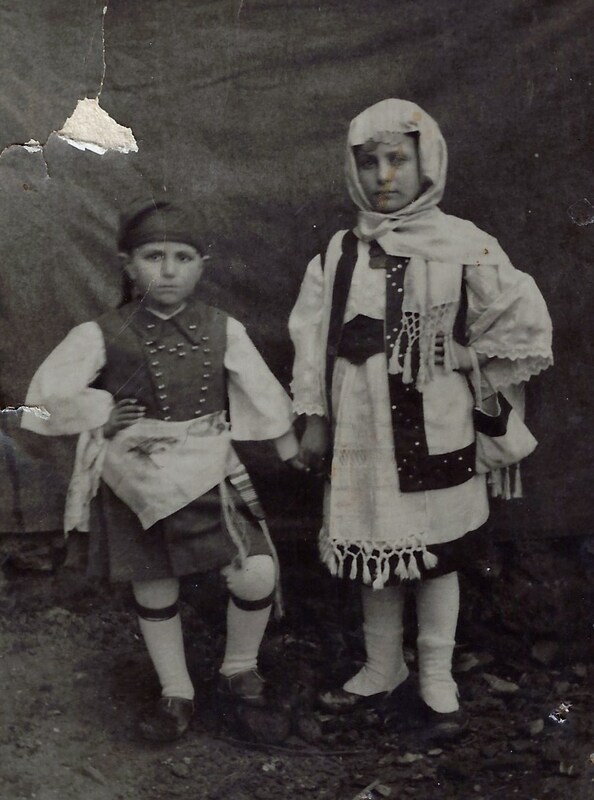 and his sister Faith in traditional costumes taken in Naoussa circa 1926, about 3 years before they would land in San Francisco. They may have feared leaving all and everything they knew behind, even for the States -- but they lived their American Dreams to the fullest, primarily as part of the Greek community in Stockton, California. While I live in Miami, Florida, I find that my heart is very often in Stockton – where I lived with my parents through graduation from UOP in 1967. Indeed, I have just been invited to my 50th Stagg High School reunion in September. Yikes! Stockton is where my family memories are, especially as members of St. Basil’s Greek Orthodox Church – where my parents Angeline (Sarris) and Steve Xanttopoulos were married in 1942, where my brothers (George and Bill) and I were baptized, and where my parents’ funeral services were held in 2002 and 2007. More recently, I was moved during the special services for receiving the holy relic of St. Basil, truly someone to look up to. Our lives growing up revolved around the church. I remember the Friday nights before Easter -- at the church on Stanislaus Street – when it was me and my Mom singing the hymns while she played the organ. 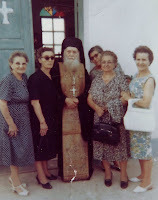 I loved Greek School (despite getting carsick each time we drove across town), and my favorite Sunday School teachers were Zoi Arvanitis and Harriet Frances. My mother was a devoted, all-purpose volunteer/organizer, especially for the making of festival pastries. My father typically counted the years of his life according to the number of St. Basil’s priests he had worked with (Father Luke was #17) and the number of festivals he had worked on (47). They would have loved being at Festival #50 and at my nephew Alex’s recent wedding in Virginia. I having been collecting documents, stories, information and photos of my family on both sides for some time because I feel a strong obligation to do what I can so that their stories and history not be forgotten – and also because it’s part of a bigger story of Greeks in Stockton and their own histories in the “The Old Country.” I sincerely hope that others have been doing the same. Today had me thinking of corned beef and cabbage. My mother made it for us on occasion, not necessarily St. Patrick's Day. She loved to try new recipes, and there were some other not-so-Greek items on the menu at 2445 Gardena Avenue. Sauteed pork chops and Rice-a-Roni (cooked with chicken broth), for example, were a popular staple -- but always with a green salad of lettuce, cucumbers, tomatoes, red onions and finished with oregano, Greek olive oil and Barengo Red Wine Vinegar. Hold the feta. Clam chowder, Manhattan-style (red, not white), was a specialty in keeping with a tradition stemming from my Papou George Sarris. He was a cook in his early years in Crockett and then at the Palace Candy Store. It was the Kron's of Stockton -- hand-made chocolates, my Yiayia Sarris worked on those -- with a diner-like restaurant, located next to the old Fox Theater on Main Street and owned by his sister Sophia and her husband Bill Demakopoulos. I have fond, if somewhat grainy, memories visiting my Papou back in the kitchen and then sitting in one of the padded booths with my Mom to eat turkey w/mashed potatoes and gravy -- very cool! 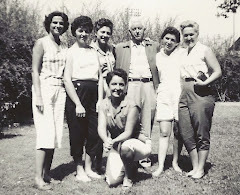 In his later years, Papou made the clam chowder every Friday night at the house on Alpine Street, where we would congregate along with the Nick Demas Family. The recipe for that soup can be found on page 50 of the recently-published St. Basil's Church "International Cookbook." And, yes, the soup will not be right if you rush it. And what about Mom's Jello Salad -- normally made with green jello, cottage cheese or cool whip, and crushed pineapple? She often brought that to family Thanksgivings and wherever else it was requested. I love that jello and should make it more often. Looking through my Mom's collection of hand-written recipes, I see a few more not-so-Greek ones, like "Lee's Crab Mix." That would be her pal Lee Howard -- and it was a crab salad with 4 cracked crabs, mayonnaise, garlic, lemon juice, and sherry. My mother loved crab, and from her I learned to eat the stuff in the carcass as well as the legs. In the good old days, we used to shop for crabs at the Busalacchi Fish Market on Channel Street that had sawdust on the floor (and was unfortunately torn down in 1963). We also got beautiful halibut steaks there that she baked with oil, lemon juice, and the ubiquitous oregano most probably grown by my Papou on his front porch. 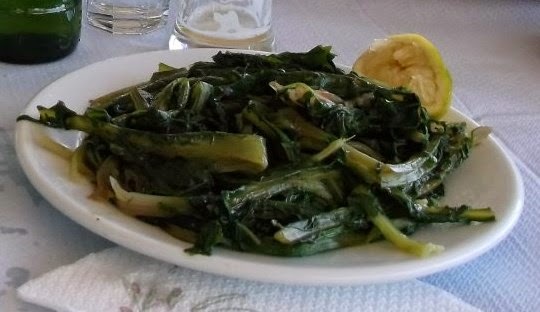 It didn't matter what kind of food we were served -- as long as it was cooked by Mom or Yiayia or Papou. You know what I mean! I have been very excited to learn how devoted my patrioti Jim Lucas ( also from Stockton, son of Harriett and Jerry Lucas) is to the history of Greek-Americans. His focus is San Francisco, and to that end is the founder of www.sanfranciscogreeks.com: "Over the years Jim has built web sites for churches, cathedrals, and ministries of the Greek Orthodox Church. He is active with many organizations. Jim's work with the community has one central theme: Unity." Bravo! 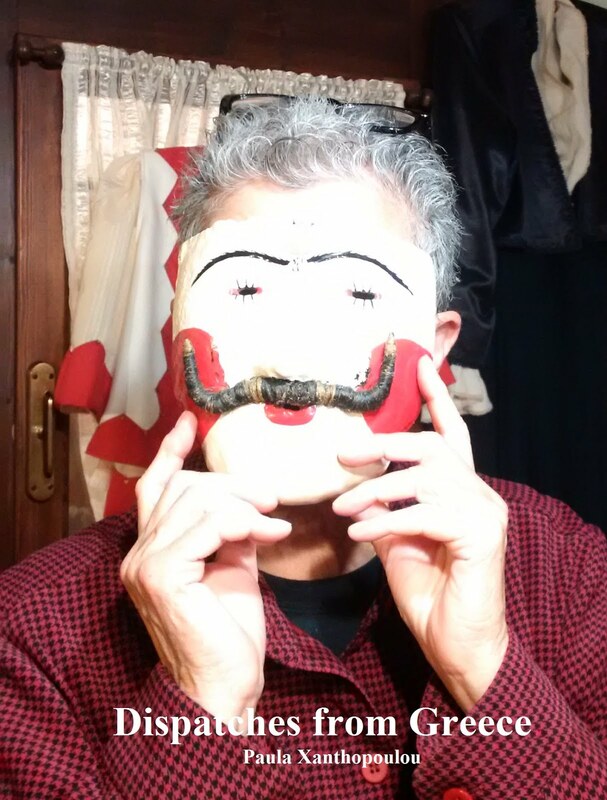 In addition, Jim is a mover-and-shaker with the Greek Historical Society of the San Francisco Bay Area, and they have a Facebook page. The group will again be participating in the San Francisco History Expo this weekend. It brings local and neighborhood history groups together under one roof -- an opportunity for people of all ages to learn about San Francisco history though presentations, photographs, artifacts, children's activities, and historical reenactments. The Expo is taking place this Saturday (11 am - 5 pm) and Sunday (11 am - 4 pm) , March 2nd and 3rd, at The Old Mint at 88 5th Street at Mission. Check it out if you are in San Francisco, admission is FREE. The next "Monthly Meeting & Family History Interview"of the Greek Historical Society will take place on March 9th, 10 am - 1 pm, at Annunciation Cathedral at 245 Valencia Street. Anyone with an interest in Greek-American history is invited to attend. I will be there in spirit!